Suzuki Baleno will debut on the 26th October, but the company has gone ahead and disclosed full details of the hatch. 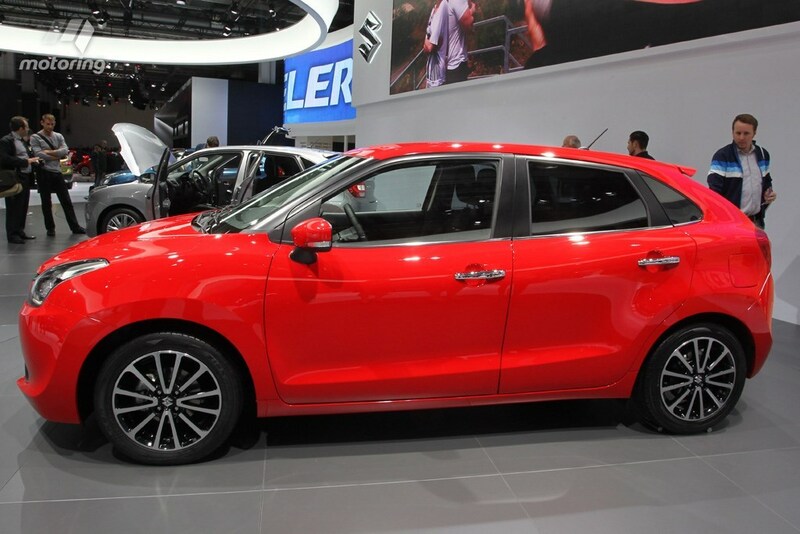 Baleno will be placed higher than the Suzuki Swift and will be sold through the NEXA outlets exclusively. Suzuki Baleno will be offered in two engine options and four trims. The petrol engine option is in the form of 1.2 liter K Series four-cylinder engine. This engine generates 83.1 bhp and 115 Nm torque. The diesel engine option is in the form of a 1.3 liter four cylinder engine, generating 73.9 bhp and 190 Nm torque. Both engines are mated to 5-speed manual gearbox with CVT as optional. The Baleno has had massive weight reduction compared to the smaller Swift. The petrol model weighs in only 890 kgs while the diesel variant is just shy of a ton at 960 kgs. The company has gone for a new design philosophy called ‘Liquid Flow’ making the car look different than any other model on sale. The mileage figures, though unconfirmed, stand at 21.4 kmpl for petrol and the diesel Baleno achieving 27.39 kmpl which is best in the segment. The features list on the car is class leading with the company leaving nothing behind. Apple Car play makes its debut in this segment with other features like DRL’s, projector headlamps, colour TFT screen for MID, Airbags, ABS, EBD, fog-lights, indicators on ORVM’s, automatic headlights, automatic day/night internal mirror, reverse camera. The Baleno will be positioned against the likes of Hyundai i20 Elite, Honda Jazz, Volkswagen Polo and Fiat Punto Evo. Pricing has not been announced, but it should be in the range of 6-8 lakh range. Later on the Baleno might get the SHVS treatment, categorizing it as a hybrid. The SHVS is a mild hybrid system that employs an ISG (Integrated Starter Generator) to assist the petrol engine during acceleration and also generates electricity through regenerative braking, taking advantage of the Indian government’s FAME (Faster Adoption and Manufacturing of Hybrid and Electric vehicles) scheme.